Disclaimer: I know the artist personally, and have listened to his music since we were in college together. And I am not, in any way shape or form, a music critic. That said, I know what I like, and I like Mike's music. Always have. Tucked away in my collection of old cassette tapes is a precious treasure - the senior project of a music student who was also my friend. That tape shows the promise and potential of the young artist, and the words and music of his senior project have blessed my heart for the past 30 years. Recently added to my iTunes and playing non-stop for most of the past week is the latest CD by the same music student, revealing his achievement of the promised potential from that senior project. 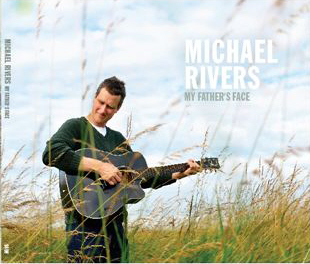 Michael describes himself as a "gospel singer/songwriter with pop and folk influences" and I agree with his desription. If you like acoustic music, this is your CD. If you like gentle melodies that remind you of the power and love of your Creator-Father, this is your CD. If you like to have fun with words, this is your CD. If you have ever watched your little girl move from childhood to young adulthood and marveled at the process, this is your CD. If you have ever wondered what went on behind your dad's eyes as he looked at you, this is your CD. And if you have ever just thrown yourself headlong into the arms of your Heavenly Father, crying out in pain or shouting hallelujahs of love, this is your CD. In short, if you are a human being and a Christian, you will be blessed by this CD, no matter your current phase of life. The ten tracks on the CD amaze me with the powerful simplicity of the lyrics. I'm an excellent wordsmith, but I write primarily prose, and have hundreds of words to get my point across. Songwriters distill my hundreds of words into the essence of their thought, and Michael excels at that distillation. He draws me pictures with his words, and in his pictures I see both his heart and my own, each safely encompassed within that love beyond all measure. If you follow the link to his website, he has a flash jukebox player so you can sample his heart for yourself, and a shopping cart so you can get your own copy of My Father's Face. I hope you do. I don't see how you could be anything but blessed by letting Michaels' words show you not only his Father's heart, but maybe your own as well.